Last updated: July 17, 2018 at 2:28pm by Savanah – $156.6 million was generated from the Kansas lottery in the 2017 fiscal year which was the second most in its history. Sam Brownback, Governor of Kansas, signed a bill to clarify that wagering for real money at daily fantasy sports (DFS) betting sites over the internet is legal within their state. Southeast Kansas now has a new commercial casino in operation which is the 4th in the state. The state board selected the Kansas Crossing Casino and Hotel which cost $80 million, and it opened on April 8, 2017. Kansas is a very unique state when it comes to their laws, but I suppose one could say that for just about every state within the USA. A few examples of why I say they are unique with their laws are they kept prohibition in place for an additional 15 years after the federal ban was repealed. Liquor stores couldn’t sell beer until 1970, and restaurants and bars couldn’t severe alcohol to the public until 1986; go figure that one out. When it comes to gambling, another interesting legal stance by Kansas is you can’t do a poker run to help raise money for a non-profit foundation, yet this is allowed as long as participants throw darts on a board with cards on it to create their poker hand which classifies it as a game of skill rather than chance. To clarify Kansas gaming law, any activity that involves consideration, chance and prize is gambling. The Kansas Lottery and any state-owned casinos are the only exceptions and are exempt, but charities are not. 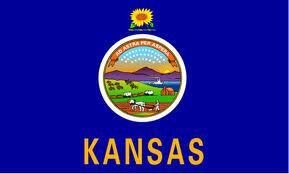 Kansas is just one of four states without a charity exemption in gambling statutes. 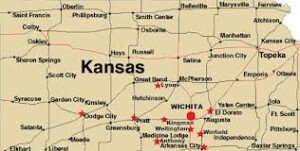 Has Anyone Been Arrested at their Home in Kansas for Playing Online Poker? Translate it how you wish, just makes things a little more confusing to me, but this study was done seven years after the Attorney General made its footprints. We are not lawyers so we always recommend seeking your local or state attorney to discuss before deciding to gamble online. Kansas law states each of the four Indian tribes in the state can own and operate one casino each, one by the Wayandotte Nation of Oklahoma, and four owned by the state. Pechanga.net is a great website with current gambling news in Kansas. Several newer bills have been passed to allow these casinos, which is good news because at one point the state constitution banned most gambling. In 1986, several bills were amended by a popular vote by having a state lottery and horse and dog tracks run by non-profit organizations. In 2007, Kansas approved bills allowing the state to own and operate four casinos. Three of the four currently are up and running and bring in an estimated $30 million each with 27% of gross revenues going to the state treasury. The high fees and initial start-up costs have just been lowered to help allow for the fourth casino in the state to be built. The states 27% take is about average across the board, similar to states like Michigan, Colorado and Louisiana, unlike Nevada which is a very low percentage and Pennsylvania which is very high. Moving forward, lawmakers continue to see gambling as a new source of revenue which includes the regulation on internet poker especially during tough economic times. Legislators have been considering many different proposals on how to introduce and tax gambling over the internet. Kansas Star Casino – 1,300 slots, 32 table games offering Blackjack, Craps, Roulette, 3 Card Poker, etc. Kansas Crossing Casino & Hotel – Approved on June 23, 2015, featuring 625 slot machinges, 16 table games, and a 123 room hotel. It cost $80 million and had its grand opening on April 8, 2017.